Notwithstanding how common it might really be, it’s always interesting to see a non-indigenous food rise so meteorically to the forefront of a nation’s cuisine. 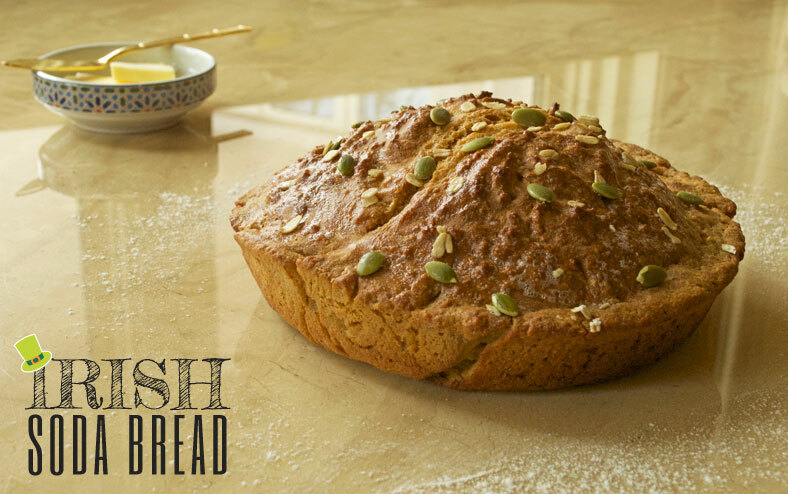 With the Irish – one of the earliest recorded contemporary cultures, mind you – the rise of the previously un-Irish soda bread is no exception. Given its ubiquity (and its ever-common association with St. Patrick’s Day these days), it’s interesting to point out that Irish soda bread as we know it hasn’t actually been around for all that long. The key ingredient and underlying premise to a true Irish soda bread – sodium bicarbonate or baking soda – was first introduced to Ireland and other European nations as recently as the 1840s. Prior to that, the practice of using soda as a leavening agent in breads was primarily used only by natives in the Americas, who had been doing so for centuries with various types and all-natural derivatives of soda. When the different types of sodas like sodium bicarbonate and potassium bicarbonate did make it to Europe, its use became popular for griddle cakes, scones and breads for cuisines all around the continent. From Austria to Poland to Serbia and Britain, soda bread and other soda-leavened baked goods became popular everywhere and not just Ireland. For the Irish, however, the adoption of soda bread came out of increased necessity than anything else. To that point, the potato had been the singularly dominant staple crop of the Irish diet since the 16th century. Economically one of the most valuable crops in terms of the nutrients and energy provided vis-a-vis the per-unit area needed to grow, the potato – along with buttermilk – became critical for subsistence, especially among the poorer Irish. Throughout the end of the 18th and into mid 19th centuries, however, a string of ravenous and unforgiving potato famines led to some major cultural shake-ups within Ireland at the time. During the time of the Great Potato Famine between 1845 to 1849, over 1 million Irish died while another million emigrated from Ireland (many coming to the US). The time around the Great Potato Famine was a particularly strong trigger for families to develop other forms of subsistence in the absence of potatoes, of which innovations like soda bread were the direct result. Because it required so few ingredients – the original incarnation is but flour, buttermilk, baking soda and salt – soda bread became a no-brainer alternative to the potato during this time. All around Ireland, various types of soda bread were created and popularized. For example, in the Northern Irish province of Ulster, a wholemeal version of soda bread is more commonly known as wheaten bread, while the county of Fermanagh calls its white flour form of soda bread as fadge. There’s also the farl, which is soda bread cut into quadrants and cooked separately from one another. Nevertheless, these are all derived from the overarching principle of soda bread. Because of what could consistently grow in the Irish climate, one of the keys to making a true Irish soda bread is to use a flour made from a softer wheat, which contains starchier kernels and less gluten in them. The standard American bread flours you might find here in the US, for example, have a higher protein content and thereby produce higher amounts of gluten, making them less than idea for use in a true Irish soda bread. Instead, you’ll be better off making your Irish soda bread with a cake or pastry flour since they’re generally made from softer wheats as is. Another key component of a true Irish soda bread is the buttermilk. Now we’ve come across recipes that have used yogurt and even some stouts in their versions of soda bread, but you’ll most commonly find that buttermilk is the main ingredient that brings the dough together. The lactic acid in the buttermilk is what reacts with the baking soda, yielding tiny carbon dioxide bubbles in the bread to help it rise. Other than the buttermilk and the flour, any other ingredients outside of salt and baking soda are more “extras” to your Irish soda bread than are traditionally required. Technically, anything else added to the recipe – such as eggs or nuts or raisins or sweeteners – no longer makes it a soda bread but rather a “tea cake,” though it doesn’t appear that this distinction is very strictly enforced. 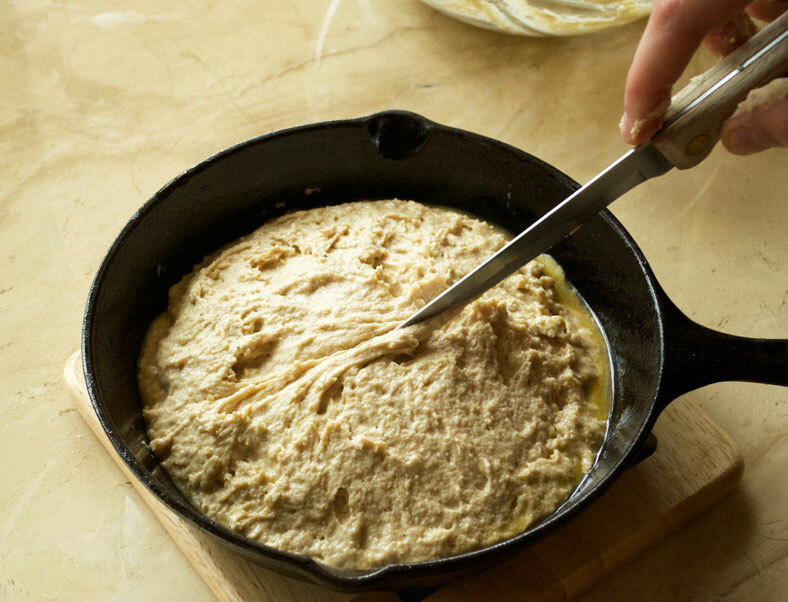 When it comes to making the dough, it’s a very straightforward process as you would expect. 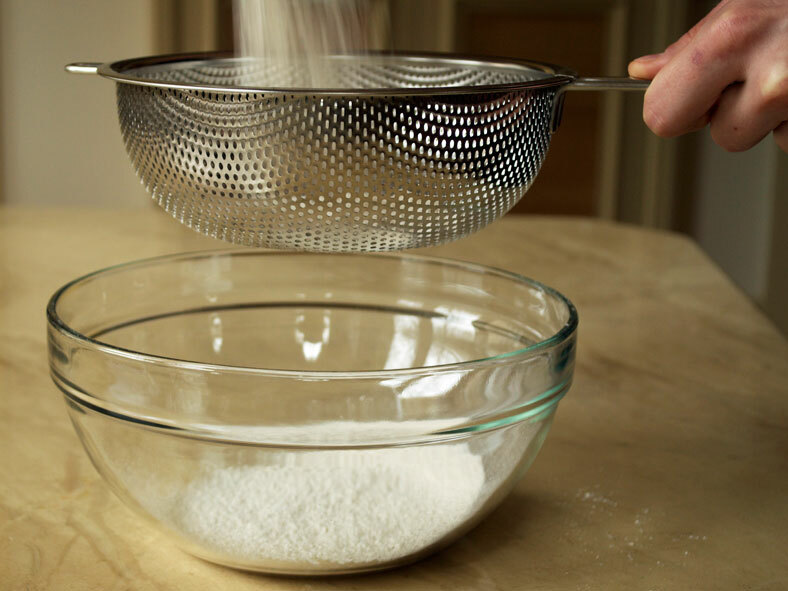 You combine your dry ingredients in a bowl, followed by adding your buttermilk as well as any other wet ingredients. There should be minimal mixing of these ingredients, rather just the bare minimum (i.e. 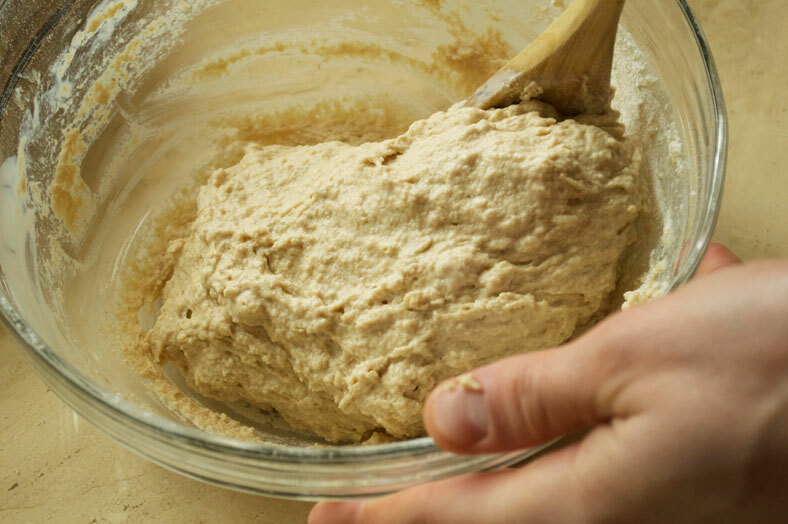 no kneading) in order to get a moist, doughy and sticky consistency in the mixture. 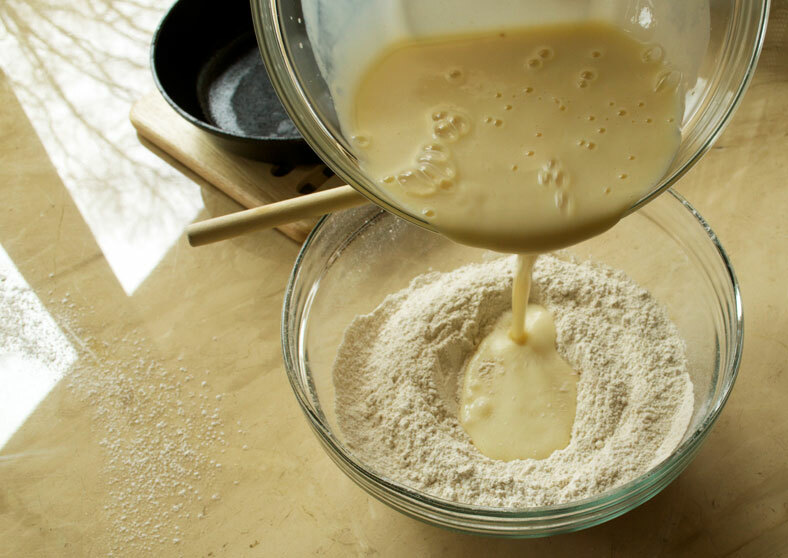 And once the buttermilk and wet ingredients have been added, the baking soda has already begun reacting and producing carbon dioxide, so you’ll want to get your bread baking in the oven as quickly as you can. 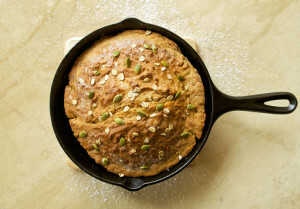 When it comes to soda bread, the Irish do have a small superstition that goes along with it. Before baking, many will cut a cross over the top of their dough in hopes that it will help ward off the devil and protect the household from any evil spirits. It just so happens that this superstition also offers some practical help to baking the bread as well. When cutting the cross in the top of the dough, you’re allowing more heat to enter the thickest part of the dough and, as the bread continues to cook, for the bread to better expand and rise up and out. There were plenty of great approaches to choose from, but we ended up basing our original reference recipe on that of Donal Skehan, a renowned Irish food author. Compared to the recipe, we didn’t, however, deviate as radically to add wild garlic leaves to our bread. In that sense, we kept rather conservative and stuck to the most common types of ingredients found in today’s version of Irish soda bread. 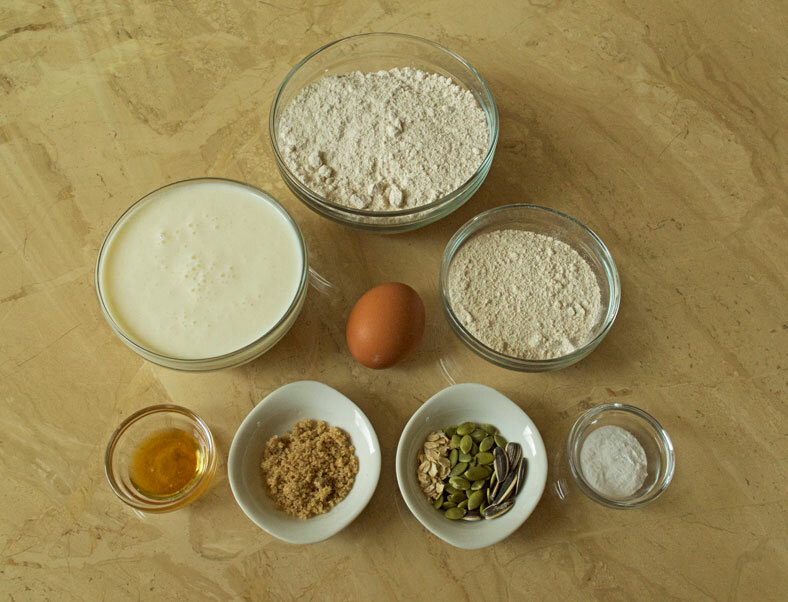 When it came to the proportions of flour, we re-proportioned our flours in favor of more whole wheat pastry flour. Also, we added a small touch of coconut sugar in addition to the honey as a sweetener of the overall bread. As an homage to the traditional open hearth and black-iron-pot style of cooking that was traditional of old Irish cooking, we baked our soda bread in a cast iron pan as a way to also develop a consistent circular shape as well. We did still use an oven, though. For a final dressing of the soda bread, we finished it off with a very quick butter wash and a sprinkling of oats, peeled pumpkin seeds and sea salt, which were then baked and roasted for the last five minutes in the oven. It was as delicious a choice as it was an aesthetically appealing one. What resulted from this particular adventure was a tangy, crunchy bread with a strong crust yet also a tender and light crumb. Paired with a nice slab of butter, the soda bread did not last very long at all in our kitchen! How do you prepare soda bread? Comment below! Take your bowl with dry ingredients and use a wooden ladle to create a little well in the middle. Next, pour a small bit of the buttermilk mixture into this well and stir into the flour. After 5 minutes max, take your bread out. Let it cool then serve with a delicious spread of butter over it!